Product Overview When you need to access to a lot of data, fast -- count on the compact, high-performance Ultrastar® C10K1800 enterprise-class HDD. Delivering up to 1.8TB of capacity, the drive helps you manage data growth in a smaller footprint. Innovations in performance give you the speed you are looking for: 12Gb/s SAS interface delivers high transfer rates between host and drive. Non-volatile cache accelerates write performance even at high workloads and protects data integrity during unexpected power loss. With a 2M hour MTBF reliability rating and a 5-year warranty, you can trust your mission critical data to the high-performance Ultrastar C10K1800. 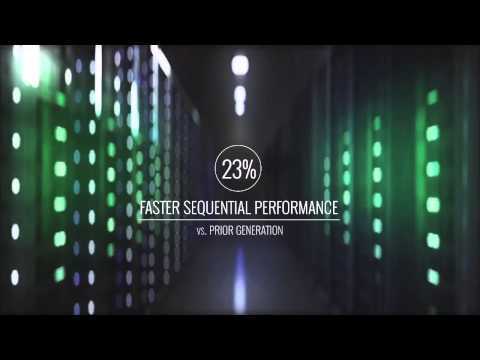 • Best-in-class Performance: 2.5X faster random write than prior generation 10K HDDs. • Best-in-class Capacity: Advanced Format models deliver up to 1.8TB. • Enterprise-class Protection: Multiple security and data encryption options. • Industry-leading 900GB capacity in a 10K RPM HDD. • Best-in-class performance: 2.5X faster random write than prior gen, 23% faster sequential than prior gen.
• Industry-leading 12Gb/s SAS interface moves more data quickly and reliability. • 128MB cache buffer manages data efficiency. • Advanced power management optimizes power consumption to deliver best-in-class power efficiency. • 2M hours MTBF rating and 5-year warranty. • Advanced format (4Kn and 512e) Model. • Instant Secure Erase Model. • Tier 1 enterprise-class, high-performance servers in data centers processing hot and warm data. • Traditional mission-critical enterprise-class servers and storage. • HPC, databases, OLTP and BP applications requiring high reliability and 24x7 availability. • Enterprise-class data security environments requiring increased security & easy drive retirement. • Databases and intense Online Transaction Processing (OLTP). • Power- and space-constrained, mission-critical environments. Hard drive size The amount of data that the hard drive can store. 2.5 "